Just a typical Saturday afternoon… And then the phone rings with a stressed manager saying that there was scratching and crying coming from his office wall. So, of course we head out to see what’s going on. We arrive on scene and there is definitely scratching sounds coming from the wall. 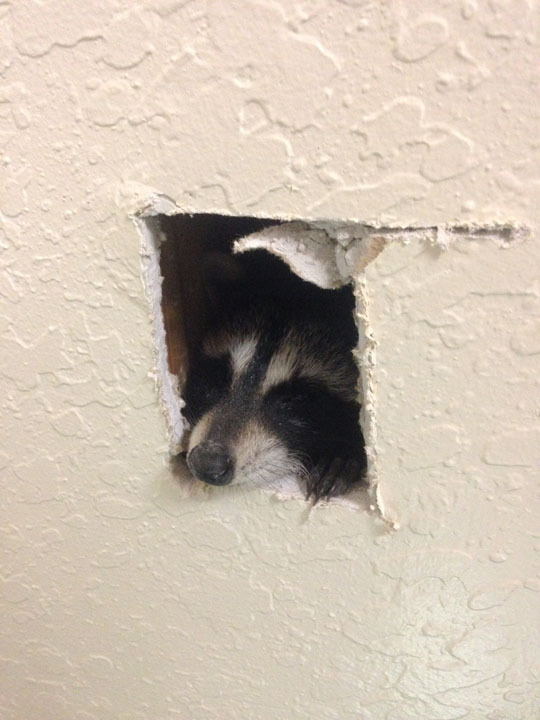 Right away we poke a small inspection hole in the wall so we can insert our bore-scope camera and see just what is causing all of this ruckus. Barely inserted the camera and we can see the cutest little bandit face staring right into the camera. 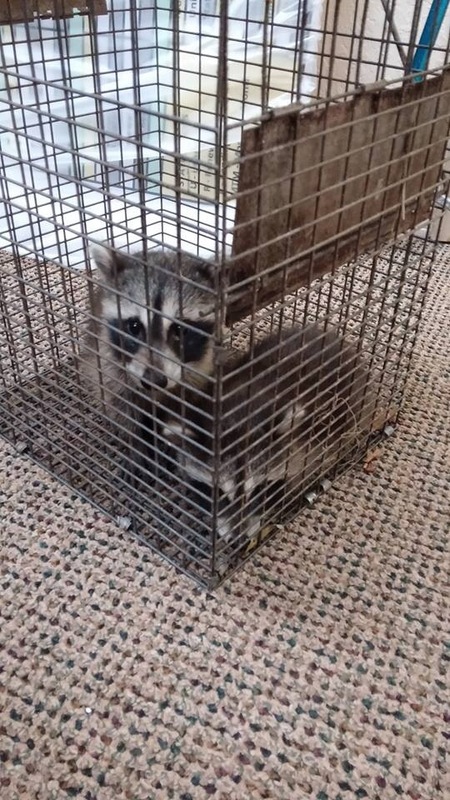 Yes, it was a baby raccoon… So we cut a bigger hole so that we can remove it… We didn’t even get a chance to put our equipment down and glove up to remove the raccoon before he stuck his head thru the hole and crawled right out. We were all admiring him, checking him out to make sure he was ok and then out comes another little head… But this one was a little bigger and wouldn’t fit thru the hole so we had to make it a little bigger to rescue him. They had obviously been nesting up in the attic and fallen down the wall. Momma raccoon was not present … But we are going to return and do a full inspection of the attic.